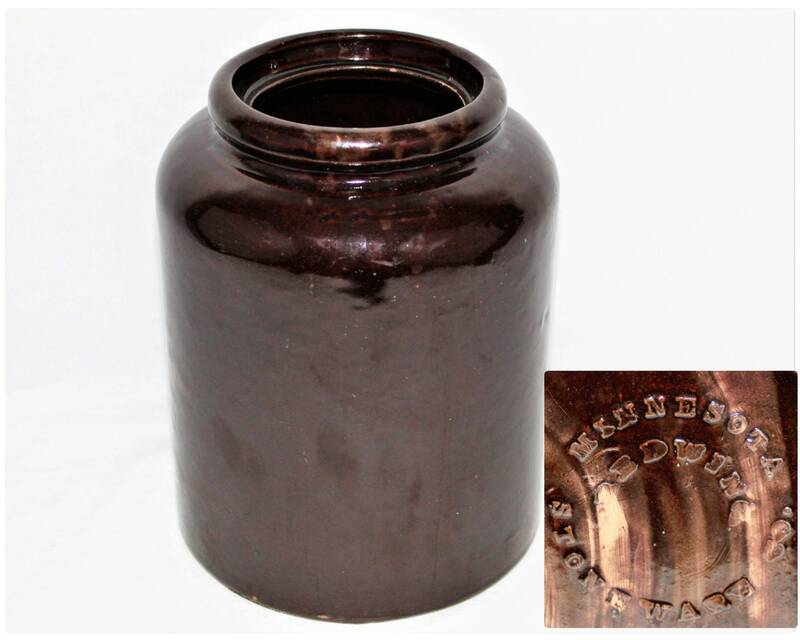 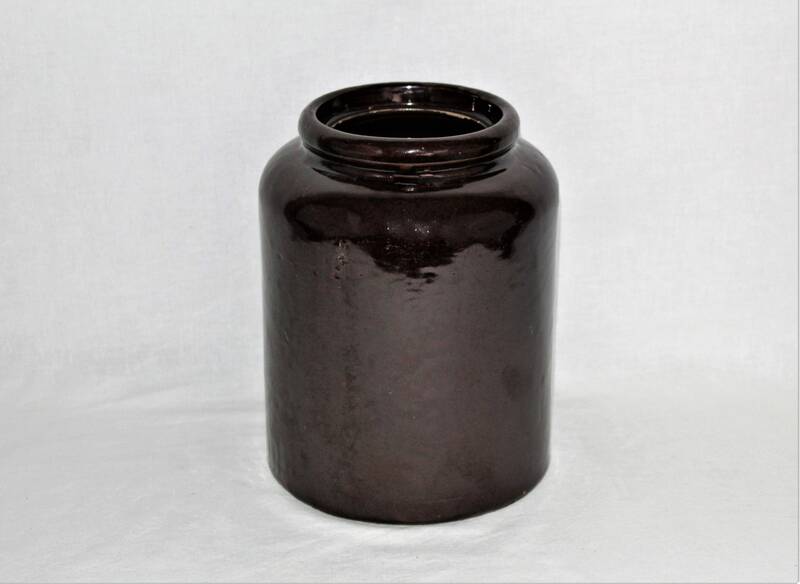 Wonderful stoneware wax seal canning crock made by the Minnesota Stoneware Company of Red Wing Minnesota. 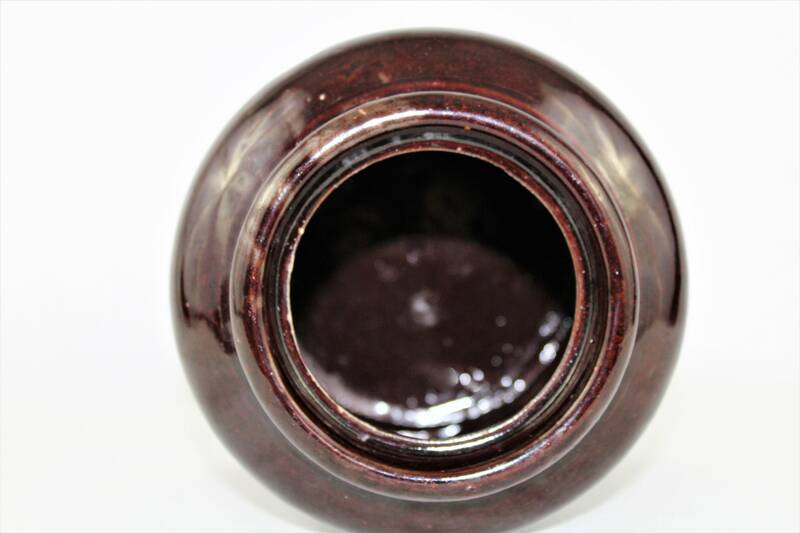 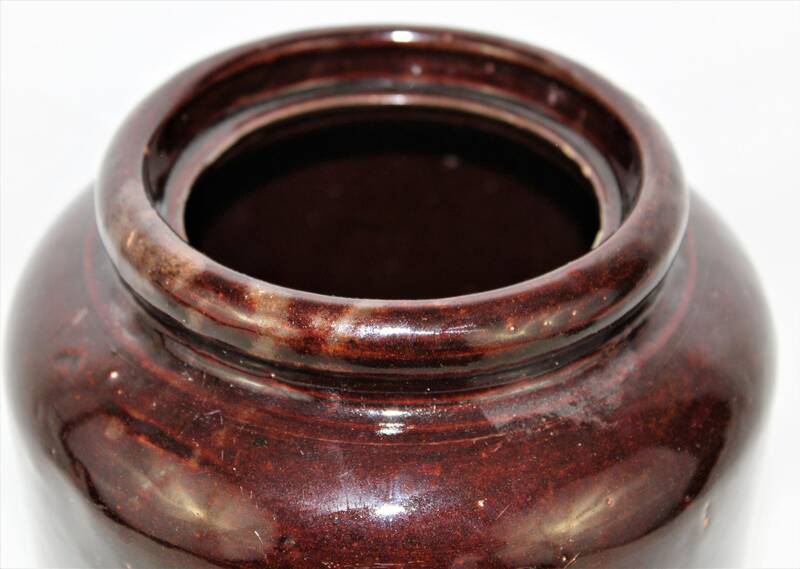 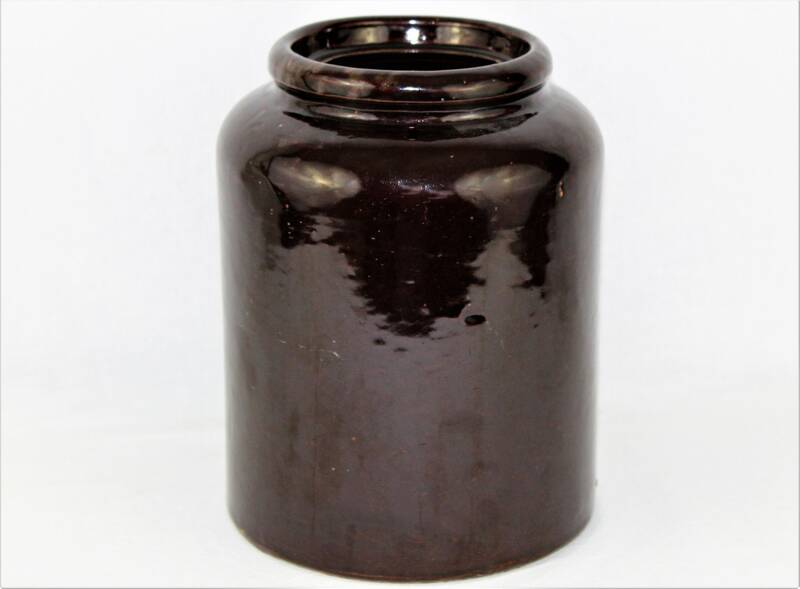 The glaze is a rich chocolate brown and the condition is very good with no cracks or chips, it does have a few glazing flaw which is very typical, has no lid. 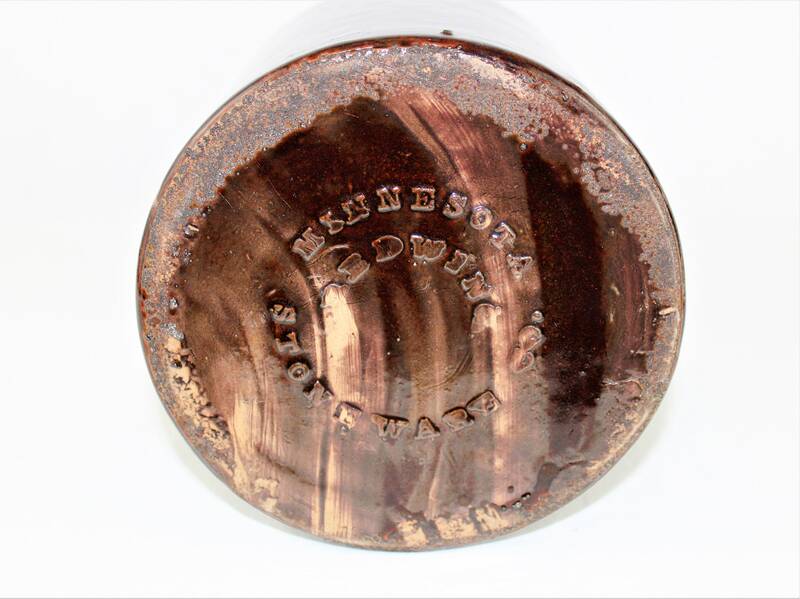 This is an early Minnesota Stoneware crock they only marked the bottoms in early production period. 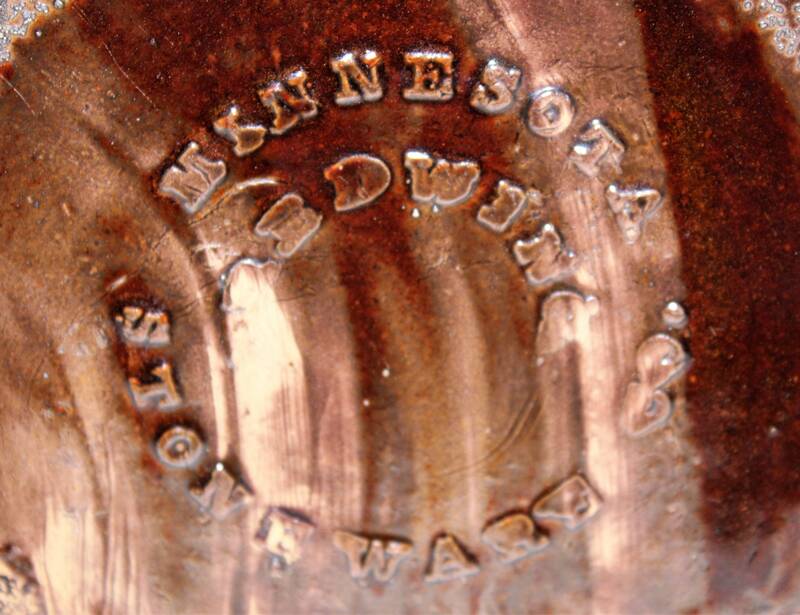 The Minnesota Stoneware Company was in production from 1883-1895 It is one of the companies that merged to form Red Wing Pottery of Red Wing Minnesota. 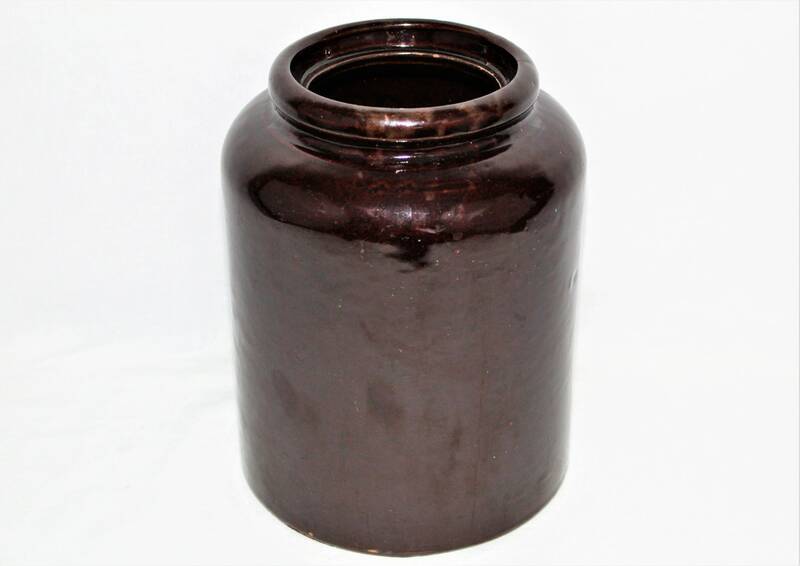 Measures; 6.75” diameter at base, 8.5” height, 5” Opening outer rim 4” opening inner rim, weighs 5 pounds.